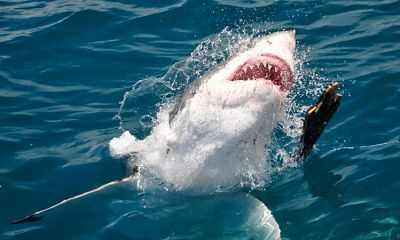 South Africa has a lot to offer the water-loving person. Surfing and deep-sea fishing are two of the most enjoyed activities, yet you may not want to overlook some of the other top activities you can enjoy on land too. Often Cape Town is the main destination for travelers to this region, but do not forget there is plenty more too. Surfing: If Cape Town is your destination, consider Eland's Bay. It is a three-hours' drive from Cape Town. Here you have surfers from all over the world who come to enjoy camping, backpacking, and a few of the area guest houses. With a westerly swell it is definitely possible to enjoy the point break. Long Beach in Kommetijie is another location known for consistent shore-breaking waves that create some of the best swells at small to medium height. For those who are not all that experienced, Kommetijie will be the best and the safest. Stil Bay is located on the south coast east of Cape Agulhas. It is also a fairly consistent location with plenty of right hand point breaks for true surfers. Scuba Diving: The swells can sometimes prevent snorkelling, but for scuba diving you are under the water and away from the majority of the trouble. Cape Town is known for its clear water, with visibility over 25 metres in some locations. With two oceans coming together, it makes for a sea full of interesting creatures. Plenty of Padi and other diving centres are on hand to provide instruction as well as tours for the more experienced. Sailing Charters: sometimes enjoying the water is not about being in the ocean as much as being atop it. Sailing is one of the best ways to travel along the coast, stopping at your convenience and seeing some of the marine life that inhabits the oceans. Taking in islands populated with sea lions and seeing great whites is just one way to enjoy a sailing or boat excursion. 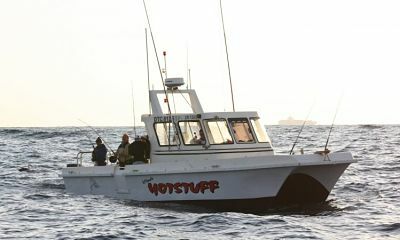 Deep-Sea Fishing: With plenty of fish from two oceans, it is never a dull trip when deep-sea fishing out of Cape Town. Common catches are sharks and tuna. Kiteboarding and Windsurfing: If you are more of an on-top-of-the-water person, kiteboarding and windsurfing may be the way to go. These are two challenging sports that add a little more to the surfing adventure than catching a few waves. You can enjoy the coast of Cape Town or travel further outside the city for different beaches. Sea Kayaking: You will want to pick your spots carefully, but sea kayaking on a calm day, venturing into some of the inlets, and running along the coast for a while is pure pleasure in Cape Town and surrounding towns. Shark Diving: Not a sport for the faint of heart, but certainly fun, shark diving allows you to see some of the big guys up close and personal. You have options such as diving in a cage or watching a feeding of the smaller reef tips. Safaris: If you get tired of the watersports, consider other activities like safaris. Africa, particularly South Africa, is known for its safaris. A safari will make for a well-rounded holiday. Beaches and Beach Activities: Who says you have to be in the water every day? Perhaps you have reached your diving limit and just need a little break. Whether you search for a beach like Elands for surfing or just want to watch a little surfing, you have the chance. Volleyball, sunbathing, and simple beach combing can give you a chance to see the coast from land versus water. Sporting Activities: Competitions from surfing tournaments to cricket matches help you enjoy sports you love. Cape Town has plenty of competitions like Rugby games that might interest you too. South Africa is a place filled with land and water activities from the amusement parks to things you would not find anywhere else. The top ten here are just a few of the entertainments you can have while on holiday here.